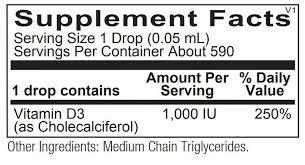 In addition to supporting bone health, vitamin D plays an important role maintaining cardiovascular health and immune function, and promoting an overall sense of well-being.180 capsules, 1000 IU. Vitamin D is a steroid vitamin, a group of fat soluble prohormones that are best known for the role they play in supporting bone health and aiding in the absorption of calcium and phosphate from the GI tract. However, a growing body of research highlights its important role in supporting other body systems, including cardiovascular and blood sugar balance. 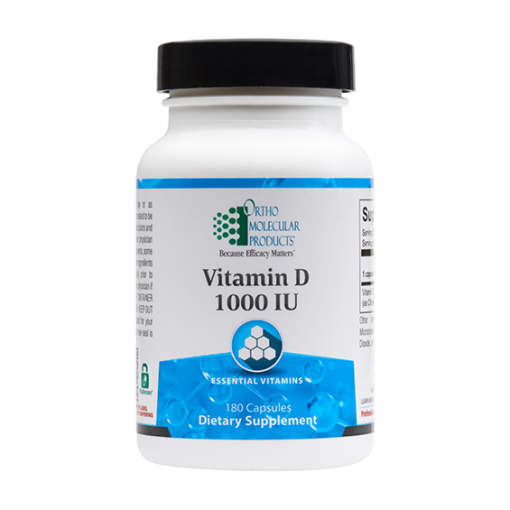 The Vitamin D 1,000 IU formulation is delivered as D3 (cholecalciferol) for optimal absorption in the body. While it has long been assumed that the majority of the population achieves adequate levels of vitamin D through exposure to the sun, the biosynthesis of the nutrient is affected by time of day, seasons, location, smog/pollution, clothing, and sunscreen. Numerous studies have highlighted the importance of vitamin D to maintaining healthy bone density. 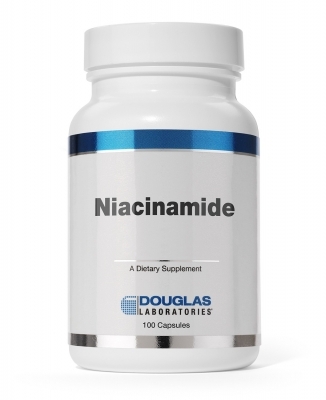 In light of the role that vitamin D plays in a variety of tissues and body systems, it comes as no surprise that much research from recent years has underscored its contribution to cardiometabolic wellness. Vitamin D has also been shown to support healthy blood sugar metabolism. 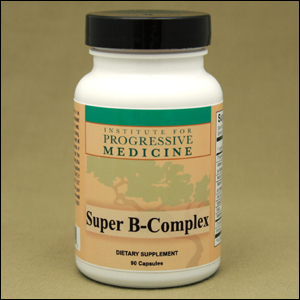 One of the more profound functions of vitamin D is its ability to modulate immunity. An important recent study suggested that improving vitamin D status significantly affects the expression of genetic pathways linked to immune activity. 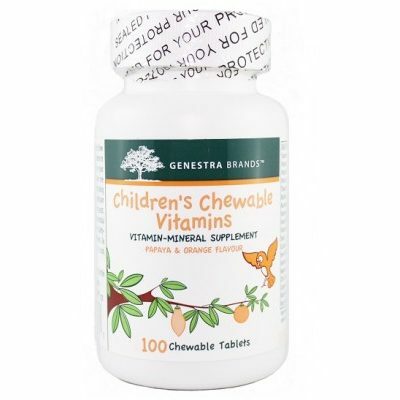 Vitamin D has been shown to boost the immune response by up-regulating specific genes. Numerous studies also point to the key role of vitamin D in supporting musculoskeletal strength and comfort.